BAGHDAD: Iraq is gearing up for key parliamentary elections on Saturday, some five months after declaring victory over the Daesh group. Prime Minister Haider al-Abadi — who has balanced off Washington and Tehran — is angling for a new term as he takes credit for the brutal fightback against the extremist and seeing off a Kurdish push for independence. Whoever emerges as premier will face the mammoth task of rebuilding a country left shattered by the battle against Daesh. Despite a rare period of calm, more than two and a half million people remain internally displaced and the extremists still pose a major security threat. 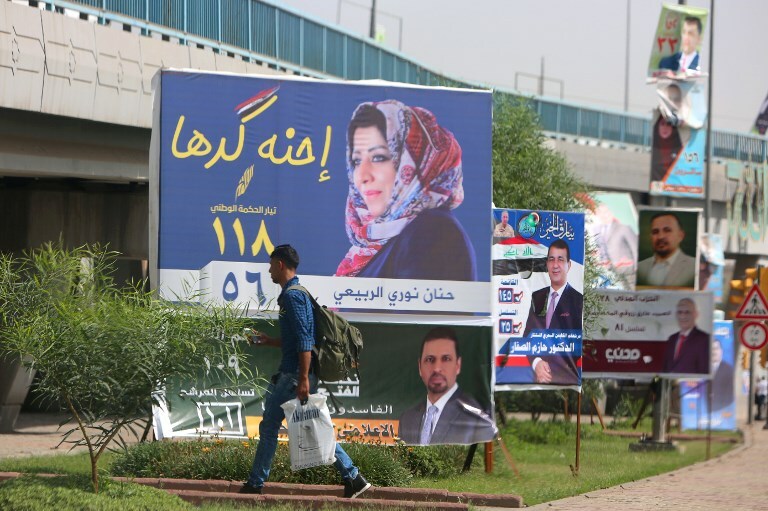 Overall just under 7,000 candidates are standing and Iraq´s complex system means no single bloc looks set to get anything near a majority in the 329-seat parliament. “There is certainly a contest between the three main lists for the post of prime minister, but that will not impact the system that sees the Shias control and run Iraq,” said Jordan-based analyst Adel Mahmud. Among the other groups jostling for position in the negotiations to come is an unlikely alliance between Shia cleric Moqtada Sadr and secular communists that is looking to ride a wave of protests against corruption.